A two-minute timer to help keep kids on the straight and narrow when it comes to brushing their teeth! An easy way to encourage better habits at the sink at bedtime. 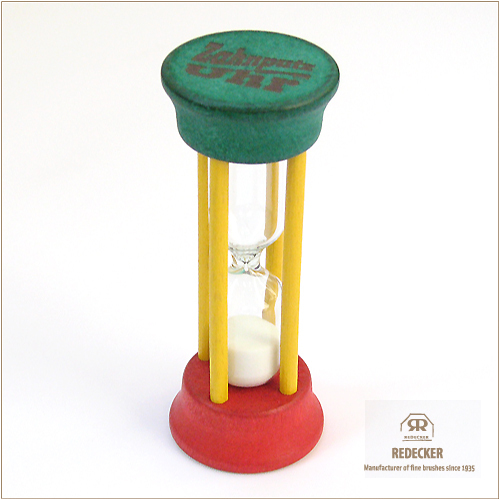 This 10cm tall timer is made from Maplewood and glass. No packaging.